Live Eyewear, a leading manufacturer of fitover sunglasses and low vision aids, announces that it will establish offices in Vancouver to support the company’s initiative to service the Canadian eyewear market via a direct line of distribution. The expected date for the offices to open is the end of August. 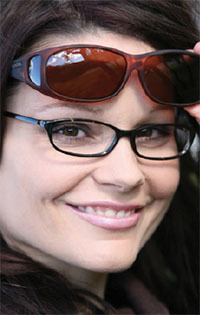 Previously, the company’s patented, optical grade fitover sunglass collections, including the world-renowned Cocoons and Vistana brands, were only available to Canadian eyecare professionals through the company’s authorized distributor, 20/20 Accessory Source. Inquiries regarding Live Eyewear’s patented collections of fitover sunwear and low vision UV absorptive filters can be answered by a Live Eyewear representative by calling the company’s toll-free customer service number at 1-800 834-2563. This entry was posted in Milestone by Envision Magazine. Bookmark the permalink.